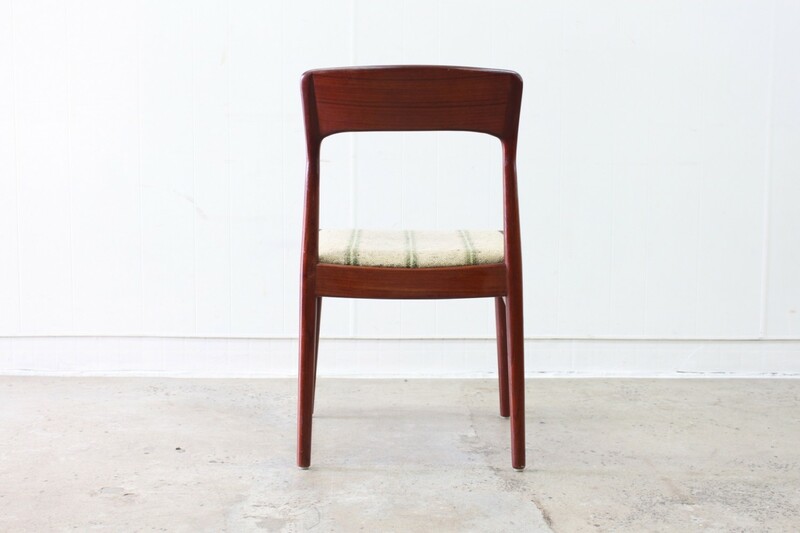 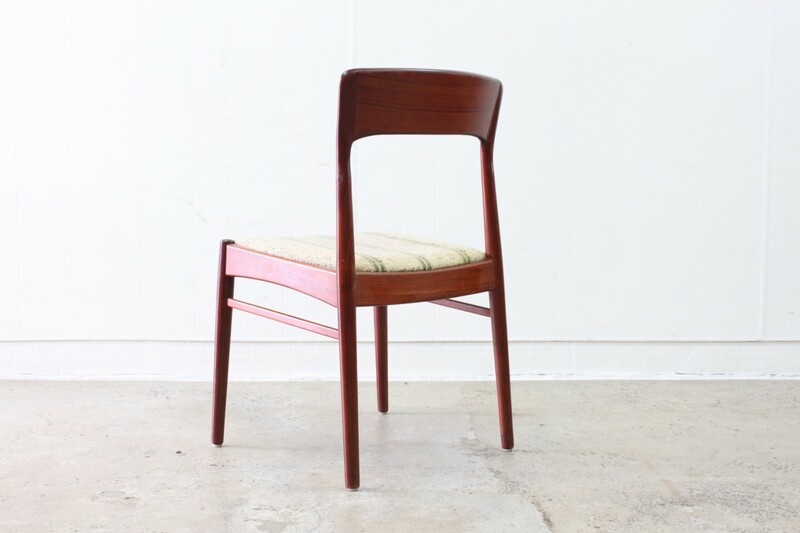 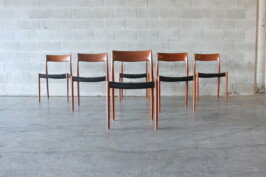 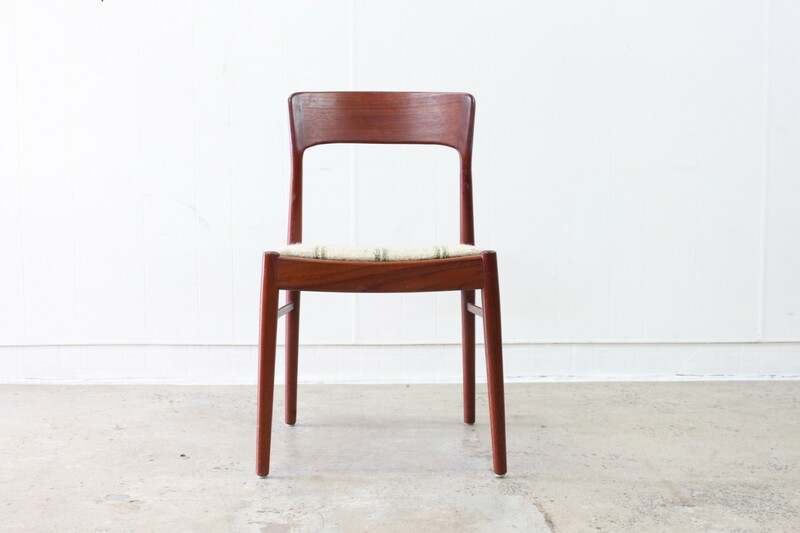 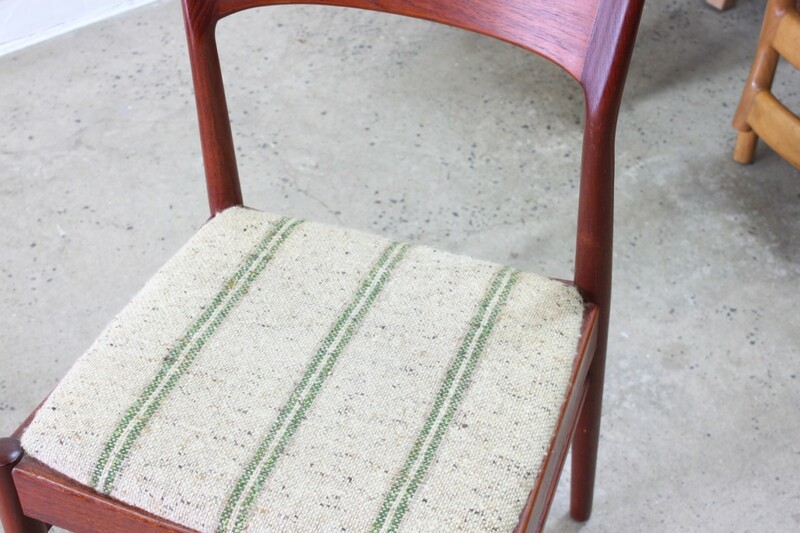 An awesome set of 6 teak dining chairs with original wool covers. 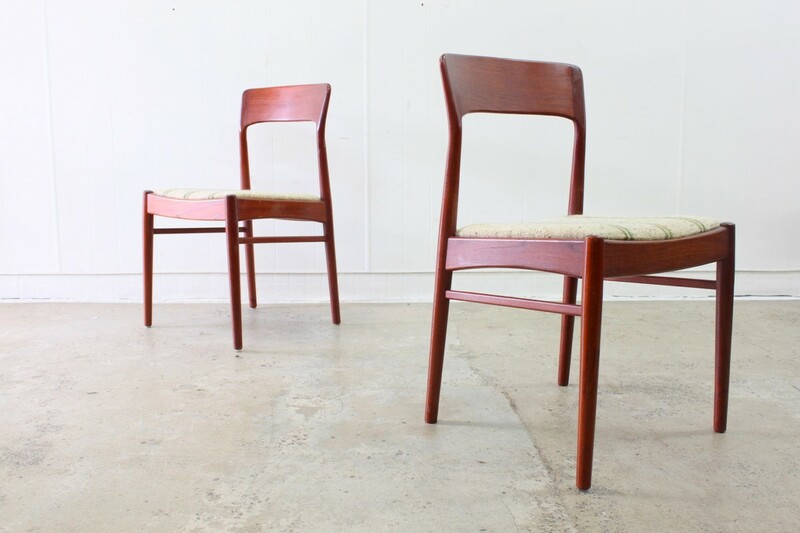 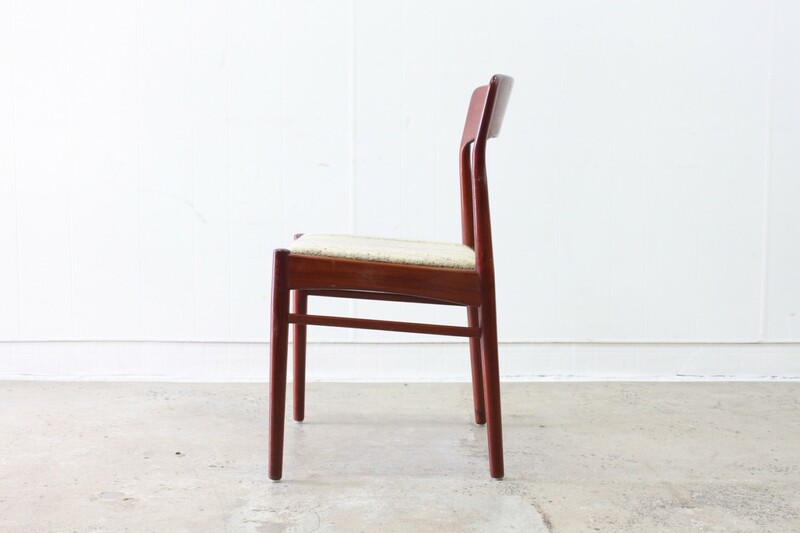 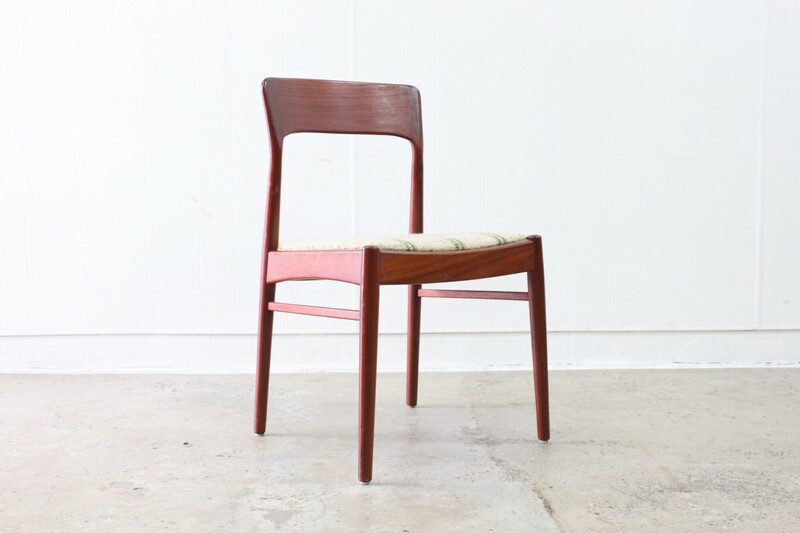 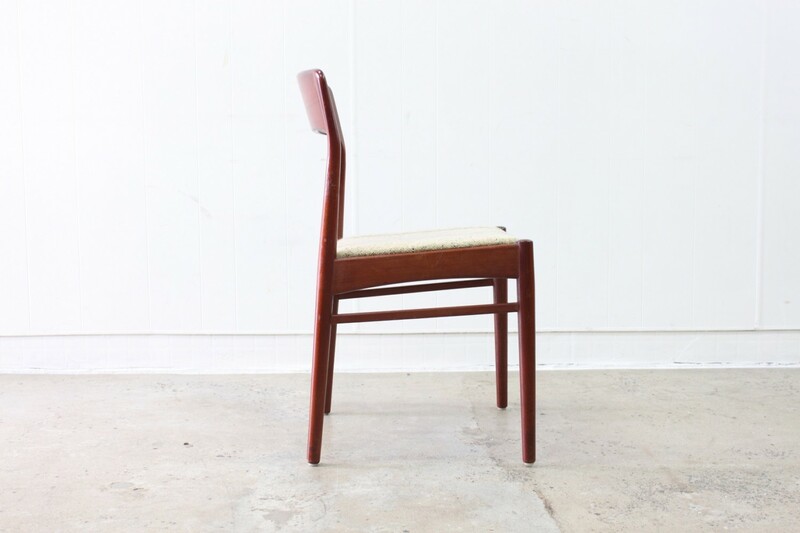 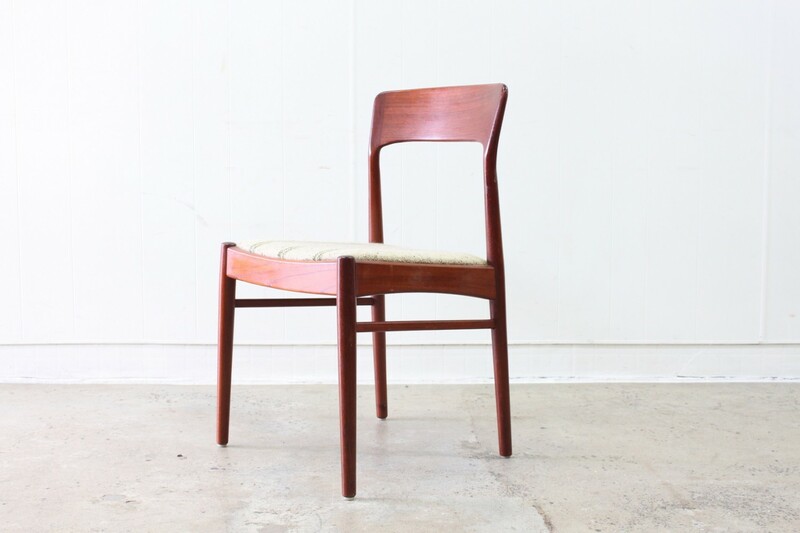 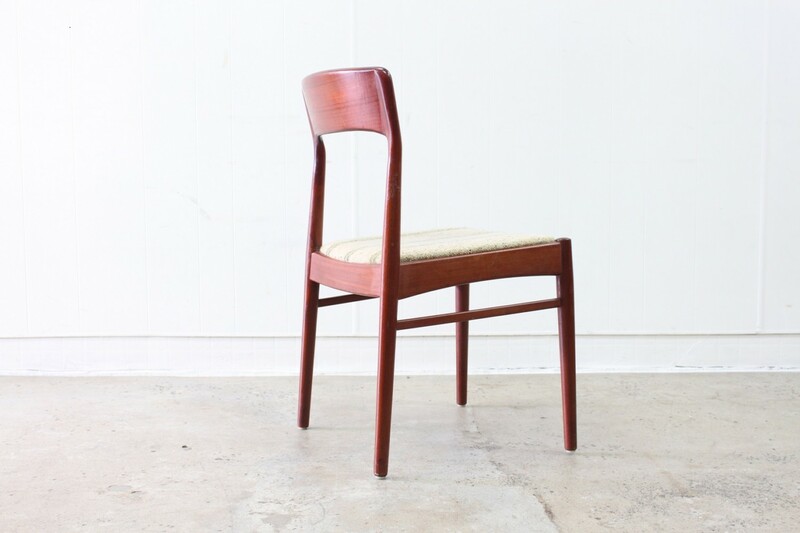 They are a very sturdy and have back rests of solid teak. 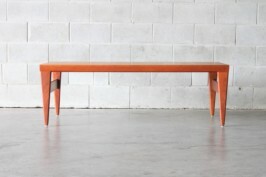 This style is very popular and never last very long due to the excellent build quality.